The arrest of a Chinese tech executive is yet another example that the U.S. is creating "a new Cold War" in international trade, says economist Jeffrey Sachs, who adds that Canada is abetting its southern neighbour. Canadian officials arrested Meng Wanzhou, the chief financial officer of the Chinese telecommunications firm Huawei, in Vancouver on an extradition request from the U.S. She has been released on $10-million bail and must stay at her Vancouver home. Sachs — director of Columbia University's Center for Sustainable Development and the UN's Sustainable Development Solutions Network — believes the arrest is an attempt by the U.S. to "stop China's rise" by creating a chilling effect on Chinese businesses. "You have a neighbour to the south that is quite erratic ... a little bit unhinged at China's rise in power," Sachs told CBC from Warsaw, Poland. "This is a pretty well-known American approach to use its power to try and break the economic momentum of a rival, and I think it's very, very bad behaviour and very dangerous, actually, for the world to have a new Cold War," he added. "This is the U.S. Cold War mentality being replayed ... the U.S. just doesn't want any rivals anywhere." It is dismaying how many people in the U.S. are welcoming a new Cold War with China. Having lived through the last one, this is not something I would wish on anybody. All terribly sad and very dangerous. Sachs also questioned the reason for the arrest, arguing the motive is inconsistent with previous U.S. behaviour. "She's charged with — as I understand it — fraud, for a presentation she gave to HSBC about Iran dealings," said Sachs. "It's interesting that HSBC was itself sanctioned for massive violations of U.S. sanctions to Iran, but not a single executive faced any charges, much less an arrest in a foreign airport, and dragged through a process like [Meng]," he added. "This is extraordinary, and I understand why China's reaction is as it is, because it's absolutely, completely out of the norm." Meng's father is founder of Huawei, a powerful Chinese telecommunications company that has sold equipment and consulting services around the world. The company is moving rapidly into 5G technology working with international researchers, but some critics have accused Huawei of spying on behalf of the Chinese government. The fraud allegations against Meng centre around the relationship between Huawei and a Hong Kong company called Skycom, that did business in Iran. According to U.S. prosecutors, Skycom was a "hidden" subsidiary of Huawei. Meng once served on Skycom's board of directors but she says Huawei sold its interest in Skycom and she stepped down from the board. Canadians Michael Spavor and Michael Kovrig were detained by China on Monday over what the Beijing News, a state-run Chinese newspaper, described as suspicion of engagement in activities that endanger China's state security. Prime Minister Justin Trudeau on Friday criticized China's actions, calling them "not acceptable." When asked if the detention of the two Canadian men was intended as retaliation, a spokesperson for China's Foreign Ministry said they were being handled according to Chinese law. Sachs believes the arrests are a consequence for Canada's recent involvement in Washington's campaign to levy heavy-handed punishment on Meng over perceived Iran sanctions violations. "I think Canada's doing the bidding of United States policy that is not well-controlled or well-modulated," he said. "Maybe Canada's being used and manipulated, not only vis-à-vis China, but for the United States to try to show anyone: 'You dare cross us on any business with Iran, you're going to pay a price.'" 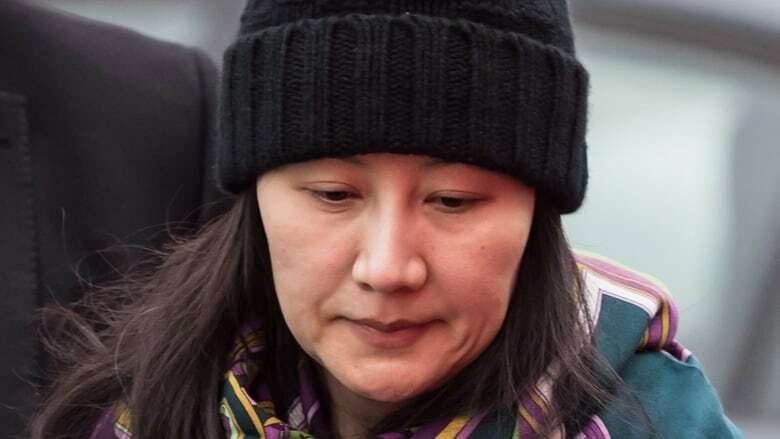 Canadian officials, including Trudeau, have emphasized that Canada's arrest of Meng was not arbitrary, but done in accordance with the extradition treaty in place with the United States. Sachs urges Canada to consider evaluating the situation by its own merits rather than acquiescing to U.S. demands. "To my view, Canada should reflect independently and realize that what it's being asked to do was completely outside international norm and very provocative," he said.